Put the celeriac, carrot and apples in a steamer over simmering water for 15 mins or until tender. 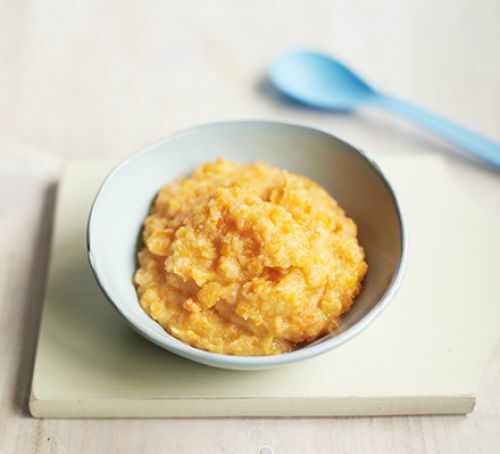 Blitz to a purée in a food processor with a splash of milk to create a smooth texture. You may need to scrape the sides of the bowl a few times while blitzing to get a smooth consistency throughout.